Dale C. Allen is a member of the firm and his primary areas of practice include federal, state and local tax planning and controversies, business formations, mergers and acquisitions, estate planning and probate matters, health care, representation of licensed professionals before various state administrative law boards, and litigation involving corporations, shareholders and directors. Mr. Allen offers office hours at firm locations in Knoxville, Sevierville, and Morristown, Tennessee. 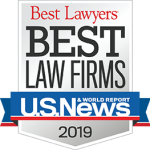 Mr. Allen has been listed in The Best Lawyers in America© in tax law since 1995. He has been named the Best Lawyers’ 2015 Knoxville Tax Law “Lawyer of the Year”. In addition, he has been selected by his peers as Knoxville’s “Top Attorney” in tax law each year since 2006 by Cityview Magazine. Mr. Allen represents clients in estate planning, including advising on elder law issues and planning for special health needs. He provides counsel in corporate disputes regarding fiduciary and corporate management issues arising among shareholders, officers and directors. He represents clients in corporate cases involving derivative actions, breach of fiduciary duty questions, and fair value disputes. He has represented clients in various types of state and federal tax litigation. He represents physicians and other professionals before various professional regulatory boards in Tennessee. Mr. Allen is a native of White Pine, Tennessee. He received a B.A. from Emory University in 1969, a J.D. from The University of Tennessee in 1974, and an LL.M. with emphasis in taxation from Georgetown University in 1979. His academic honors include Phi Beta Kappa, Phi Kappa Phi, and Order of the Coif. Prior to law school, Mr. Allen served as an infantry lieutenant with the United States Army Special Forces from 1969 to 1972. Between 1975 and 1979, he was employed by Chief Counsel’s Office of the IRS in Washington, D.C., and by the IRS Regional Counsel’s Office for the District of Columbia. 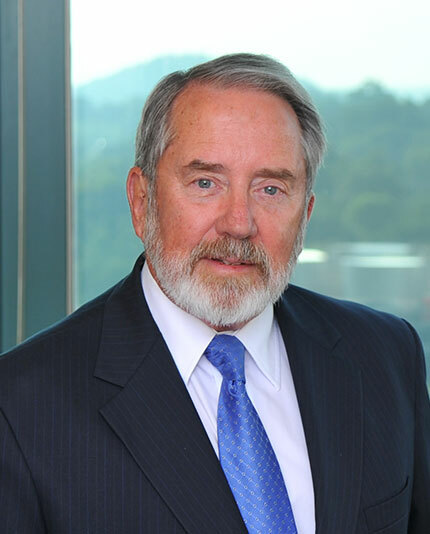 He is a member of the American and Tennessee Bar Associations, the Knoxville Estate Planning Council, and has served as Adjunct Professor of Law at The University of Tennessee College of Law in the Representing Enterprises series sponsored by the College. Mr. Allen is a frequent seminar speaker for the Robert Thomas Foundation in Sevier County and for the local CPA Society. Mr. Allen is a member of White Pine Methodist Church in White Pine, Tennessee. 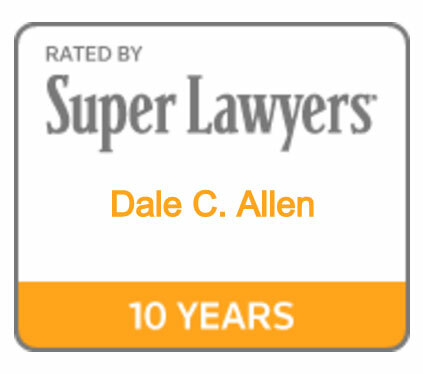 Mr. Allen has been listed inThe Best Lawyers in America© in tax law since 1995. He has been named the Best Lawyers’ 2015 Knoxville Tax Law “Lawyer of the Year”. 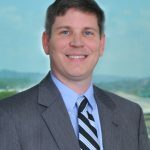 In addition, he has been selected by his peers as Knoxville’s “Top Attorney” in tax law each year since 2006 by Cityview Magazine.